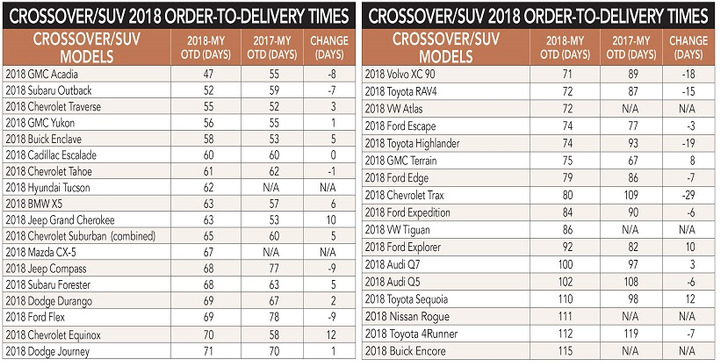 Passenger car and crossover order-to-delivery (OTD) times for the 2018 model-year were similar to those experienced by commercial fleets during the 2017 model-year, with the exception being several high-volume trucks and vans popular in the commercial fleet market. Strong retail demand for trucks, which reduced truck production allocation for fleets, lengthening lead times. A robust economy that stimulated strong fleet order volume for trucks and vans, creating a backlog at upfitters and missed ship-thrus. Early order cut-off for the Ford Super Duty, Chevrolet Silverado, and the Ram 1500. Reduced availability of railcars and truck carrier shortages. 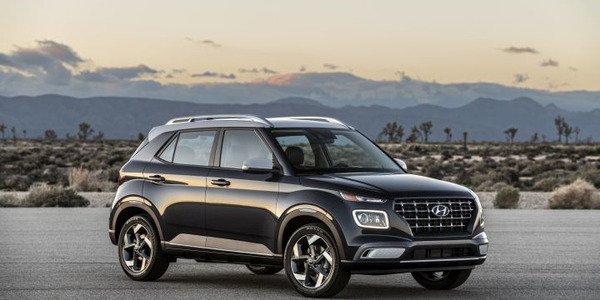 Persistent delays in exporting vehicles assembled in Mexico to the U.S.
A fire at a key truck component plant that slowed the build rate for several high-volume fleet trucks and vans. Despite these challenges, OTD for model-year 2018 was remarkably similar to those in the 2017 model-year. One factor keeping OTD times consistent with last model-year was that OEMs issued fewer quality holds on new 2018 models. Another positive development was that import-badged models showed solid OTD improvements in 2018. 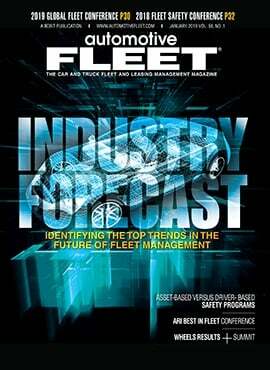 These were among some of the many findings that were revealed by Automotive Fleet’s 19th annual OTD survey, which is based on data and analyses provided by nine fleet management company (FMC) survey partners that included ARI, Donlen, Element Fleet Management, Emkay, Enterprise Fleet Management, LeasePlan USA, Merchants Fleet Management, Mike Albert Fleet Solutions, and Wheels Inc. The AF OTD survey tracked deliveries of approximately 208,607 new vehicles in the 2018 model-year, representing 102 different models. The survey methodology calculated OTD times for cars from the day an order was placed with a factory to vehicle delivery to a dealer (not driver pickup). Truck OTD was calculated from order placement to delivery to an upfitter or, if no upfitting was required, to a dealer. The days spent at an upfitter were not included in truck OTD times. 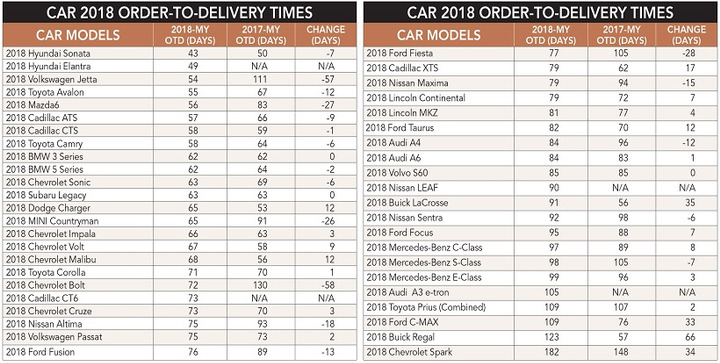 Similar to last year, 2018 order-to-delivery timeframes for most passenger car and crossover models remained relatively flat with delivery times for some models decreasing. Almost all vehicle lines were delivered, on average, within or ahead of the OEMs posted lead time. The survey methodology calculated OTD times for cars from the day an order was placed with a factory to vehicle delivery to a dealer (not driver pickup). Charts courtesy of Armie Bautista. There were a number of variables exerting pressure on timely deliveries of trucks and vans. For instance, strong retail demand for light-duty trucks increased OTD, on average, by putting downward pressure on fleet allocation availability. 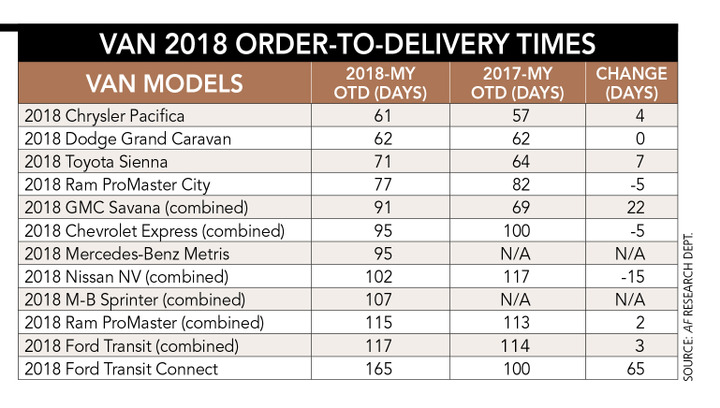 A similar assessment of 2018 order-to-delivery times for trucks was given by Nick Erculiani, VP, acquisitions lifecycle for Element Fleet Management. “We saw longer lead times for 2018 due to a variety of factors, including railcar shortages and upfitter backlogs, and the plant fire at the Ford F-150 plant in May. Last year, we expected to see some relief on railcar shortages, but this has continued to be a major contributor in delivery delays in 2018,” said Erculiani. Not only were OTD times for light-duty trucks impacted, but so too were delivery times for medium- and heavy-duty truck models. This assessment of truck OTD in 2018 was shared by most FMCs participating in this year’s survey. “OTD for medium-duty trucks increased as a result of shipping delays for 2018 models. Upfitter backlogs also impacted units traveling via ship-thru,” said Reynolds of LeasePlan USA. 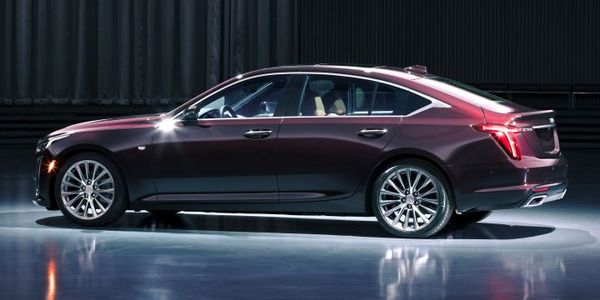 One OTD problem that seemed to carry over from the 2017 model-year were delayed shipments for products built in Mexico. With the dramatic expansion of automotive production in Mexico, it has led to railcar shortages at plants south of the border that export production to the U.S. 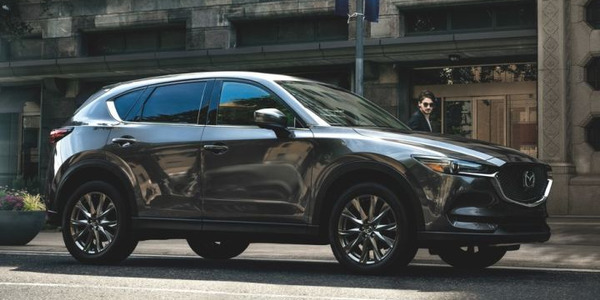 Since Mexico’s domestic retail market is relatively small with 900,000 units sold per year, the overwhelming majority of vehicles assembled in Mexico are earmarked for export. 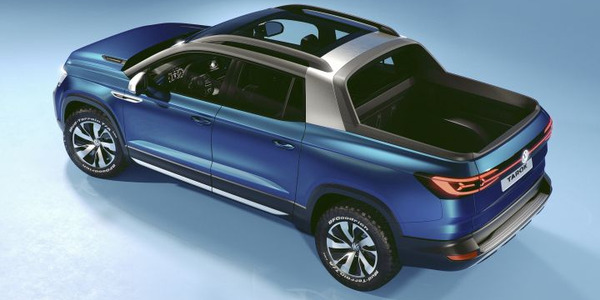 "Looking at the averages throughout the industry, some of the major delays in OTD were experienced by models produced in Mexico, including the Jeep Compass, Ram ProMaster, and Ford Fusion. There were also widespread railcar shortages that resulted in many models being delayed for an extended period of time,” said Jim Tangney, vice president – vehicle acquisitions for Emkay. This observation was also made by Mary Jo Welch, assistant vice president of new vehicle acquisition for Enterprise Fleet Management. “Overall, OTD times were similar between this model-year and last model-year. However, we saw increased OTD with vehicles coming out of Mexico. 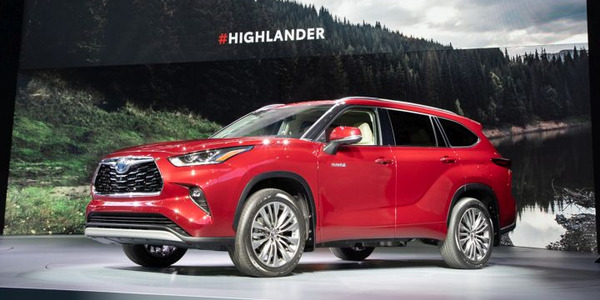 We also did see some challenges at the end of the 2018 model-year, especially for work trucks and vans,” said Welch. While OTD times are steady across most vehicle lines, the vehicles with the longest delays are the truck and van segments. Some truck models were impacted more than others. Other surveyed FMCs also cited the impact of unscheduled closures of automotive assembly plants. “The Saltillo assembly plant, in Mexico, which produces the Ram 2500-5500, was closed the entire month of April. This was an unscheduled closing; however, there was minimal delays in getting the units into the U.S.,” said James Crocker, director of fleet operations for Merchants Fleet Management. Fleet vehicles are particularly vulnerable to OTD delays because most fleet orders are concentrated among a handful of models. Two key vehicle segments for commercial fleets are trucks and vans, which had a variety of factors impact OTD in model-year 2018. According to Steve Armstrong, manager, vehicle purchasing for Mike Albert Fleet Solutions, the top factors impacting 2018 OTD were logistics scheduling issues, such as vehicles held at rail yards or ports for lengthy period and vehicles damaged in transit. “Transport-related issues were the main cause of delay in vehicles reaching the delivering dealer in MY-2018. Units would be bayed for several days with no ETA as to when they would move. ETAs were only supplied once the vehicle had been picked up,” said Armstrong. The railcar issue not only impacted getting units to upfitters, but, likewise, delayed getting completed units back into the OEMs’ transportation system. “Particularly hard hit were the truck and van assembly plants and ramps. The plants were so backlogged with vehicles that car haulers were unable to bring vehicles to upfitters as they could not bring completed vehicles back to the plant because they were out of space. We saw some vehicles age for over 60 days with no movement and worked diligently with the OEMs to prioritize aging vehicles for shipment. In some cases, we used outside carriers upon upfit completion to deliver vehicles to end destinations to avoid the ship-thru process and the delays,” said Krams of Wheels. The large volume of truck and van orders placed in the 2018 model-year created backlogs at most upfitters. “Upfitter delays were mostly due to increased order volumes and surge volumes causing backlogs in production. This was caused by capacity issues at the upfitter plants, as well as delays in parts production. This also impacted the timing of putting vehicles back into shipping, contributing to backup and delays in railcar traffic,” said Erculiani of Element. Reinforcing this assessment was Armstrong of Mike Albert Fleet Solutions. “Upfit supply and demand issues are still a major concern, as they are not able to keep up with the increased vehicle volume,” said Armstrong. Contributing to the backlogs at upfitter facilities was the tight labor market, which reduced vehicle throughput of completed upfits. Truck OTD was calculated from order placement to delivery to an upfitter or, if no upfitting was required, to a dealer. The days spent at an upfitter were not included in truck OTD times. “As order volume has increased for truck and cargo vans so too has the upfit demand. Although our upfit partners are ready to hire additional employees to meet the demand many of them are having challenges finding qualified candidates to fill these positions,” said Gomez of Donlen. “The backlog is causing on-complex upfitting along with standard service bodies have higher lead times. Also, as upfitters open new plant locations, the quality and consistency in the upfit has declined resulting in a halt in production to correct these issues,” added Gomez. These comments were echoed by Krams of Wheels. “Lead time across our supplier network as a whole has gone up over the past 12 months due to increased volume. Most suppliers are working at or beyond their normal production capacity. Due to labor constraints, many upfitters are unable to add production capacity as fast as they would like to,” said Krams. One type of upfit that has experienced delays was service bodies. “Service body lead times have increased on standard models from a typical 6-8 weeks to 10-14 weeks and, in some instances, were as high as 40 weeks on custom service bodies,” said Crocker of Merchants Fleet Management. The upfitter backlog became further exacerbated as the model-year progressed. “Upfitters’ schedules were very full toward the end of the model-year, which subsequently affected OTD,” said Welch of Enterprise Fleet Management. Another issue from the backlog was getting completed units back into the OEM transportation system. The increased volume of units stretched the resources of some upfitters to complete orders on a timely basis. “The sheer volume of orders has impacted order-to-delivery for 2018 models utilizing ship-through, as well as creating some delays in getting vehicles back in traffic. 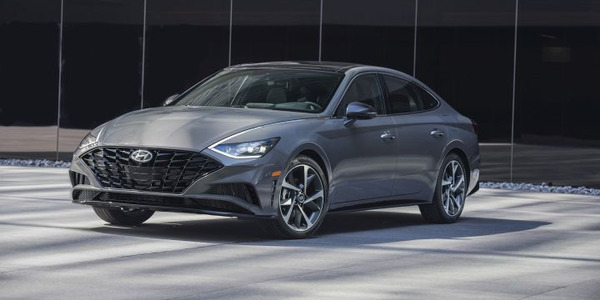 While this increased the order-to-delivery time, some of this was expected and had been previously communicated with clients,” said Reynolds of LeasePlan USA. Compounding the upfitter backlog problem was the shortage of railcars to move the upfitted vehicles once they were completed. “The railcar shortage also had a bit of a domino effect as the delays also extended to many upfitters. Pickup times for completed units were higher than normal due to the shortage and several upfitters experienced storage space limitations which further impacted some production schedules. In some instances, delivery times were nearly twice the normal average,” said Ghosh of ARI. To bypass the railcar availability issue, some OEMs sought to use truck carriers. “Several OEMs have used outside carriers to try and reduce some of these shipping delays but in some cases it increased delays as vehicles bypassed ship-thru and had to be back-hauled to the appropriate upfitter or vehicles being delivered to the wrong dealers,” said Gomez of Donlen. Railroads are the primary long-distance transporter of cars and trucks. Railroads are a key component of the OTD cycle, but are beyond the control of the fleet industry. For the past 20 years, the nationwide railcar shortage has been a factor for fleet delivery delays. Vehicles are transported to upfitters and dealers in specially designed, fully enclosed railcars that have either two or three levels within them. The problem is that there is a shortage of rail autorack carriers that can’t keep pace with auto industry growth. The increased ratio of trucks sold has further compounded the railcar shortage because a fewer number of trucks, due to their larger size, can be loaded on a railcar than cars. 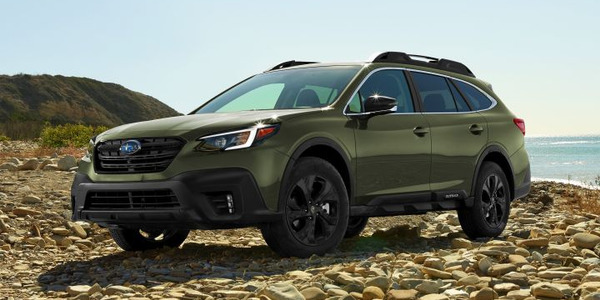 “The market’s shift to SUVs typically require a specialized railcar that is fitted differently than the standard railcars to allow SUVs to be stacked. Without enough of these specialized railcars many vehicles were delayed, as the amount of SUVs per train is cut in half,” said Tangney of Emkay. The ongoing railcar problem seems to have gotten more acute in 2018. The railcar shortage created huge backlogs of vehicles needing to be shipped. “The industry-wide railcar shortage had a much greater impact this year than it had the past two years. Trucks, SUVs, and van demand increased and these larger vehicles often require a bi-level railcar, which means fewer vehicles can be moved at one time. In addition, a truck carrier and driver shortage only added to the complexity and increased the length of time vehicles were sitting. The railcar shortage hit in February and continued to challenge the OEMs through August,” said Krams of Wheels. In addition, there were logistics and pricing issues that resulted from the railcar shortage. “Due to the rail shortages, units had to be stored at an offsite location which also added to longer lead times. Domestic transportation pricing also increased due to the shortages,” said Crocker of Merchants Fleet Management. The railway backlog, in particular, impacted ship-thru units requiring upfitted equipment. For instance, bodies are ordered, but the chassis are delayed, which created a domino effect where upfitters didn’t produce additional bodies until the chassis arrive. These delays shifted one fleet’s production into another fleet’s reserved schedule. Now, body production is out of sync with chassis delivery, which means fleets have a depreciating chassis sitting at an upfitter. “The long-term railcar shortage is impacting OTD for all OEMs. Normally, shortages last from winter to early spring. However, for 2018-MY, the shortage started in winter and is still ongoing in many locations,” said Erculiani of Element. 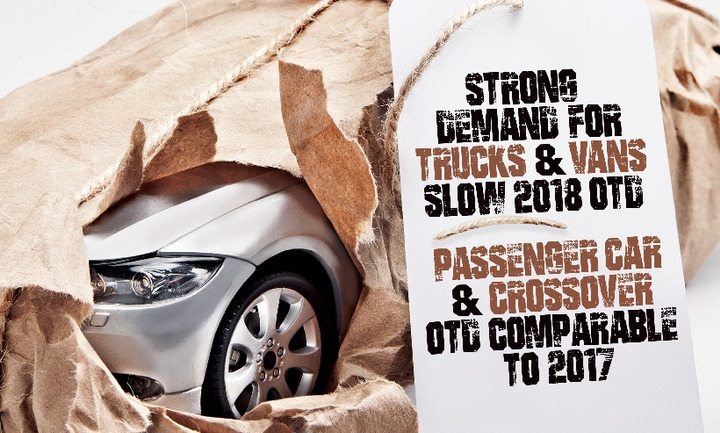 One beneficiary of the rail congestion is the vehicle hauling industry, with many OEMs having a positive experience with truck haulers and are considering making some of these switches permanent. “Railcar shortages was the largest factor in the 2018-MY OTD times being longer than those in 2017. All manufacturers experienced issues with railcars and worked on different means of getting vehicles to dealers, such as utilizing truck carriers, but those logistics companies were having trouble keeping up with the demand,” said Tangney of Emkay. While there is an additional cost to move vehicles long distances by truck, it is less expensive than having vehicles sit stranded waiting for rail pickup. All manufacturers’ have increased their utilization of local truck carriers to expand their normal delivery radius to help clear out rail and shipping yards. However, there were also constraints with truck carriers. "The railcar shortage caused a ripple effect with the domestic truck haulers, which drove transportation pricing up for domestic manufacturers, which also revealed a shortage in truck haulers as well,” said Crocker of Merchants Fleet Management. It is important for fleet managers to communicate with their FMC or upfitter to understand the anticipated lead time and overall production time frames. “Unfortunately, railcar shortages did create a bit of a bottleneck for a good portion of the industry in 2018 with some resulting delays being significant. Throughout the year, we communicated regularly with our supply chain partners to closely monitor potential delays to ensure we had visibility to any issues on the horizon. This ongoing dialogue helped us stay ahead of possible disruptions in the supply chain and allowed us to proactively work with our customers to address these challenges to minimize the impact on their business,” said Ghosh of ARI. In May 2018, there was an industrial accident at the Meridian Magnesium Products of America Inc. in Michigan. The accident caused a series of explosions and fire, which shut down the plant. The plant is one of the North American auto industry’s largest suppliers of lightweight structural parts — engine cradles, front-end carriers, instrument panel crossbeams, liftgate inner structures, and radiator supports — causing the incident to disrupt the supply chain for various product lines. 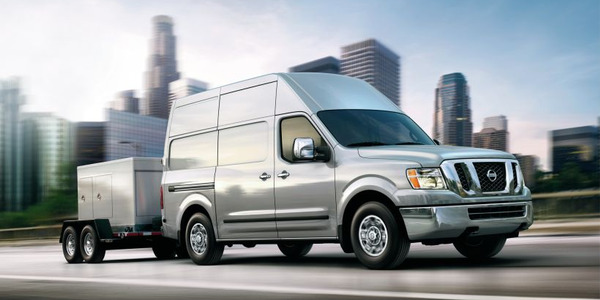 General Motors temporarily halted production of GMC Savana and Chevrolet Express full-size vans at its assembly plant in Wentzville, Mo. FCA acknowledged some disruption to production of the Chrysler Pacifica minivan at Windsor, Ontario, Canada. BMW canceled some production shifts for its plant at Spartanburg, S.C., where it produces the X5 and X6; and Mercedes-Benz reportedly canceled some shifts at its Tuscaloosa County, Ala., plant due to a parts shortage. “Any issue with parts can have a domino effect on vehicle OTD timing. 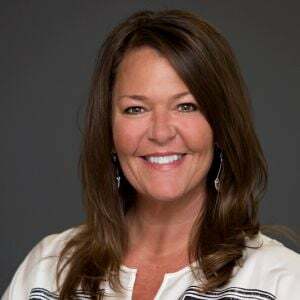 One missing part from the automotive supply chain can halt production across the board,” said Welch of Enterprise Fleet Management. Ford reportedly receives about one third of the plant’s output, suspended production of its F-150 and F-Series Super Duty pickup trucks at plants in Kansas City, Mo. ; Dearborn, Mich.; and Louisville, Ky., due to the interruption. 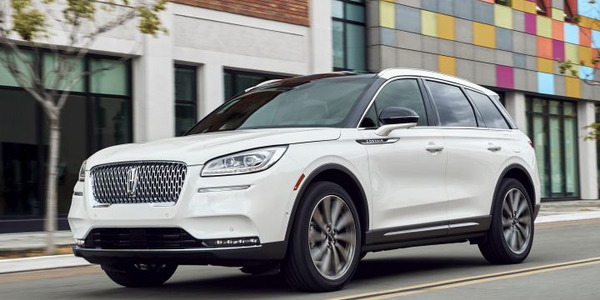 The Meridian Magnesium plant also supplies components for the Ford Explorer and Flex and the Lincoln MKT products. “Due to the fire, there was a shortage of parts from Meridian Magnesium resulting in longer lead times. 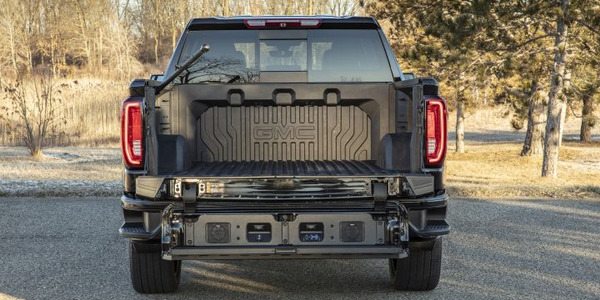 Ford was able to recover pretty quickly, but we are still experiencing delays with the GM Express and Savana vehicle lines due to the residual impact of the parts shortages from the supplier fire and increase in order volume,” said Gomez of Donlen. However, there is always a silver lining as was the case with the suspended Savana/Express production. “Although there were multiple issues with the Express and Savana models, General Motors was able to utilize the time to overproduce on the Chevrolet Colorado models,” said Crocker of Merchants Fleet Management.